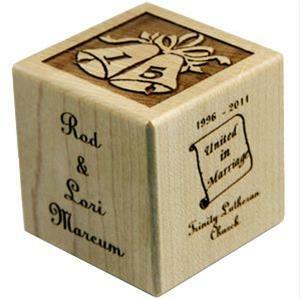 One all natural maple anniversary block - 2 inch cube. 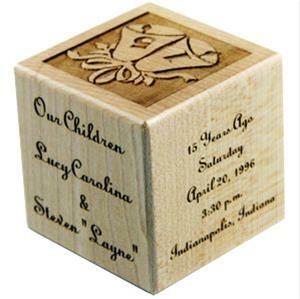 Engraved Anniversary details include: Name of couple, name of church, name of children, date, time, and location of wedding. Anniversary Bells are engraved with number of years the couple have been married. Great gift for for friends, family and spouses.